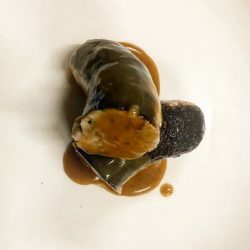 Kiss all other breakfast sausage goodbye! Old Major turkey breakfast is going to turn your breakfast experience up to 11. 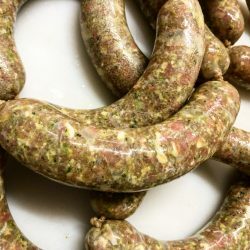 We use a unique blend of sage, thyme, course ground black pepper and some other magic goodness all blended with Indiana pasture-raised TURKEY! This is uncased sausage so you can make your breakfast patties any size you want. Buckle up. 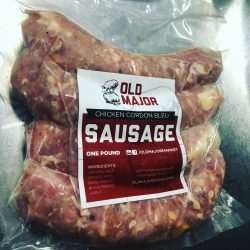 Old Major Turkey Breakfast Sausage is uncased and comes in 1-pound packages. 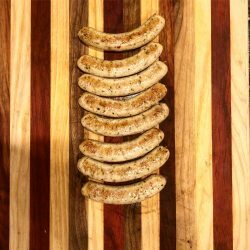 ***All of our products are sourced from Indiana farmers that implement sustainable farming practices and pasture-raise their animals without hormones or antibiotics.